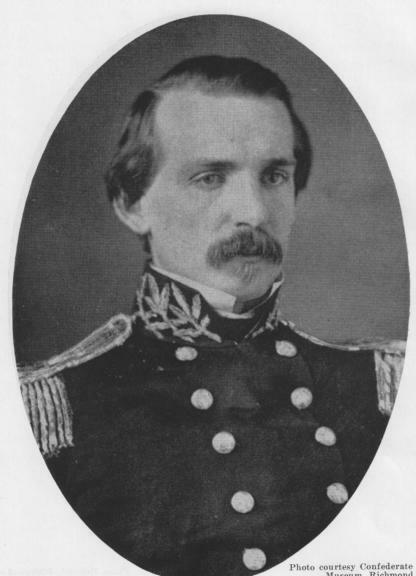 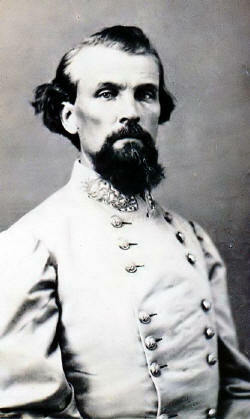 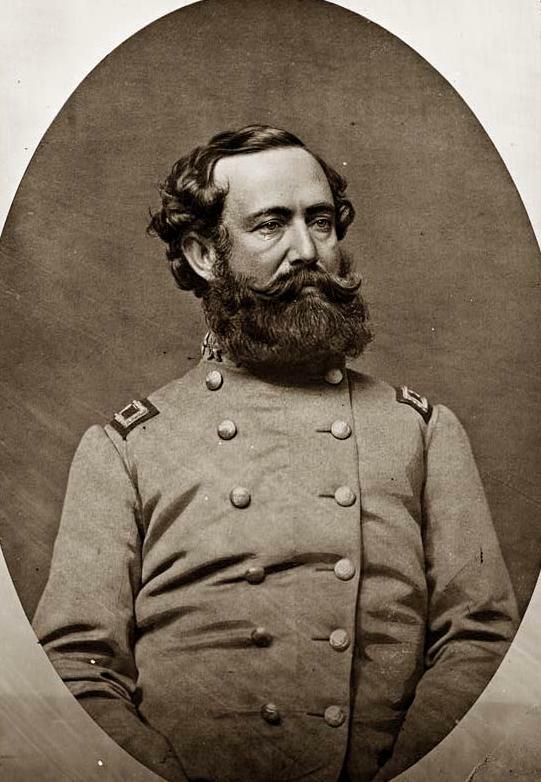 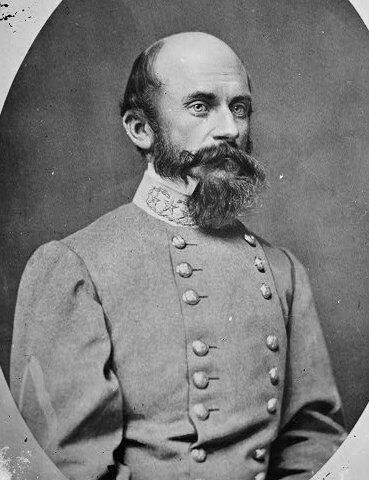 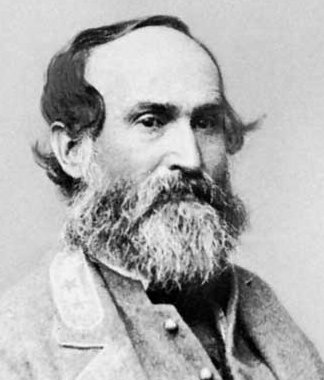 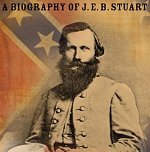 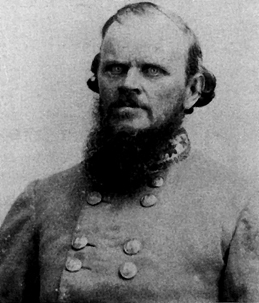 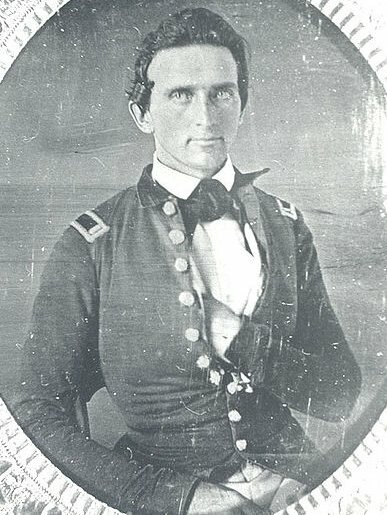 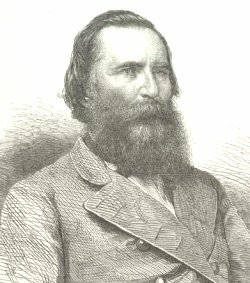 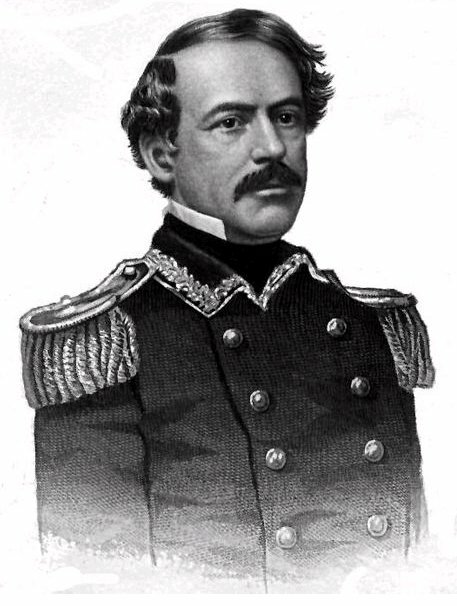 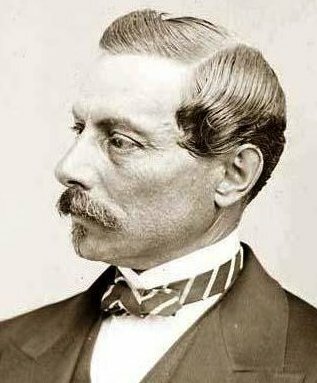 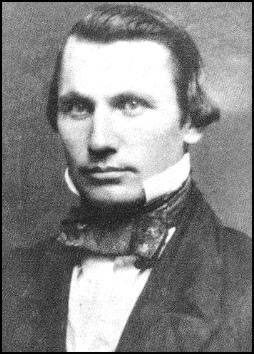 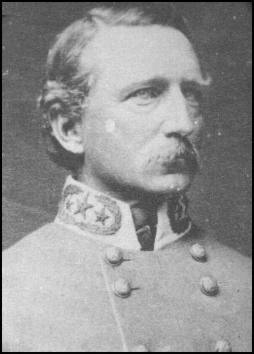 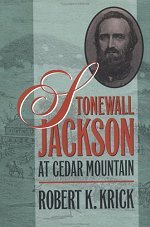 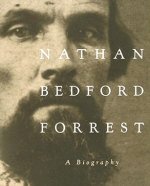 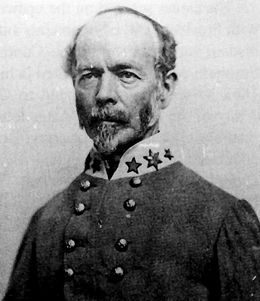 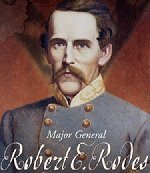 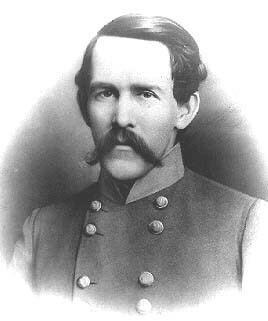 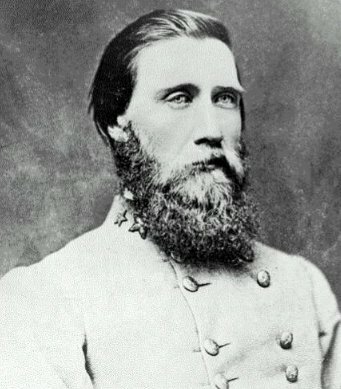 Richard Stoddert Ewell is best known as the Confederate General selected by Robert E. Lee to replace "Stonewall" Jackson as chief of the Second Corps in the Army of Northern Virginia. 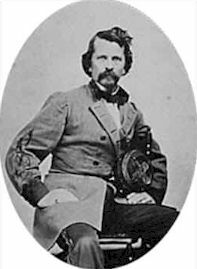 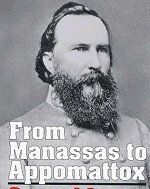 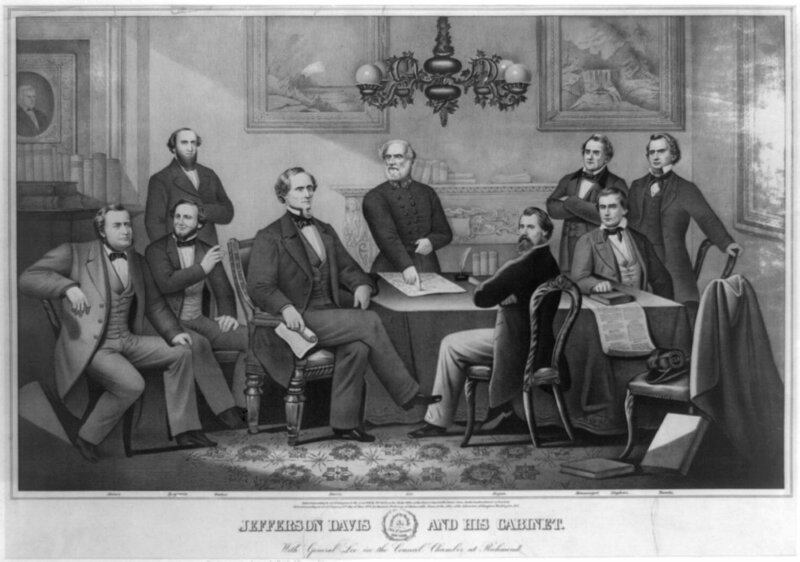 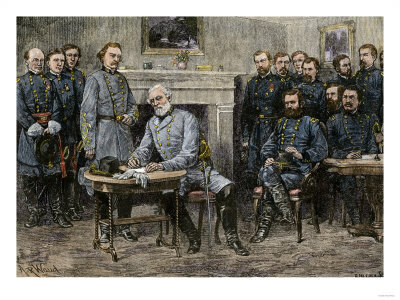 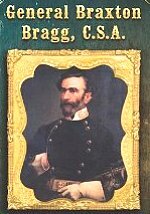 The high-level conferences in Richmond to set strategy and the relationship of the Peninsula campaign to operations in the Shenandoah Valley and the western Confederacy. 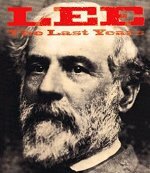 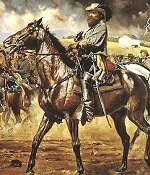 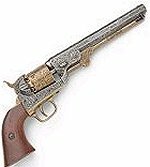 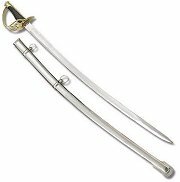 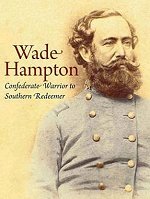 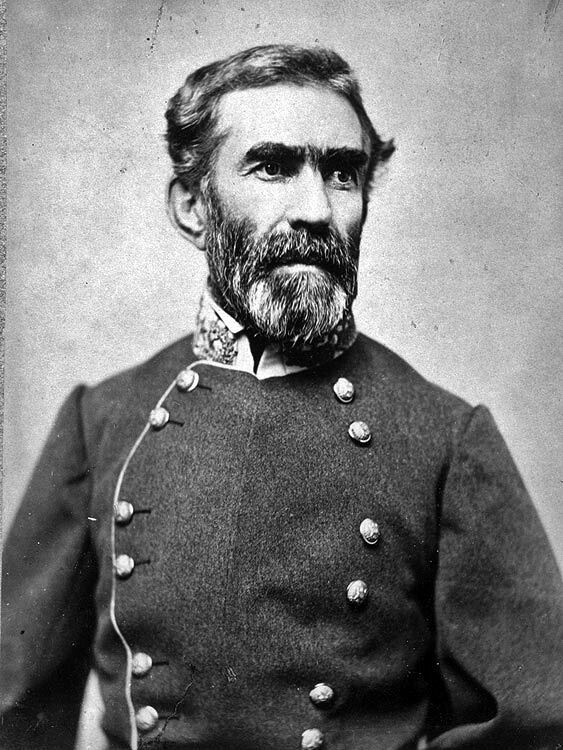 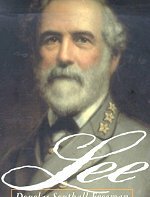 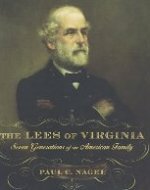 According to some, he was partially to blame for the Confederate defeat at Gettysburg; according to others, if Lee had followed Longstreet's advice, they would have won that battle. 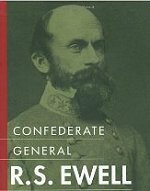 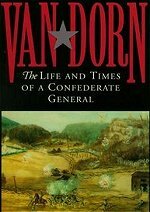 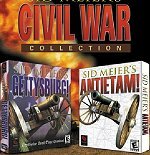 Confederate Generals. 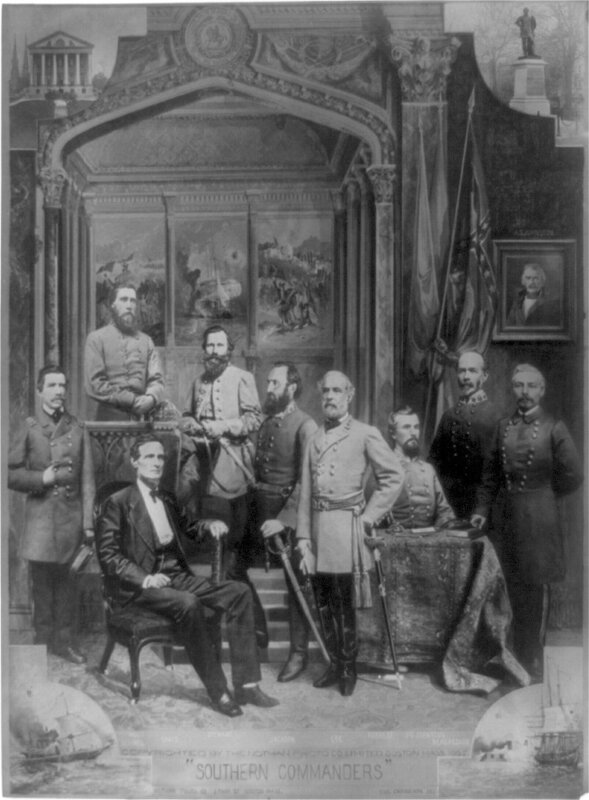 Left to right - Hood, Semmes, Davis, Stuart, Jackson, Lee, Forrest, Johnston, Beauregard. 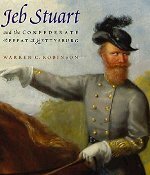 Hood, Stuart, Early, Hill, Polk, J.E. 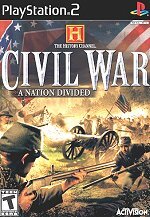 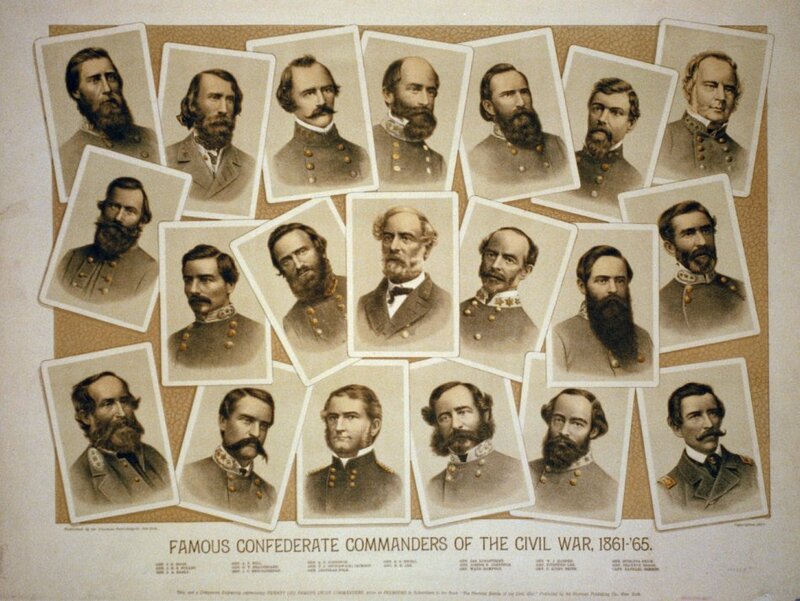 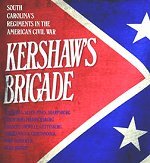 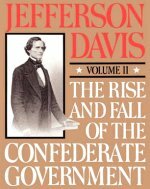 Johnston, Hardee, Smith, Bragg, R. E. Lee, Beauregard, Breckinridge, A.S. Johnston, Jackson, Ewell, Hampton, Fitzhugh Lee, Price, Semmes, Longstreet. 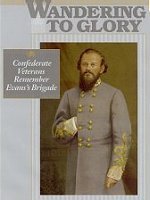 Lithograph by Sherman Publishing Company, 1884.